This statistic gives outlook figures on the production of biomass energy between 2016 and 2050. 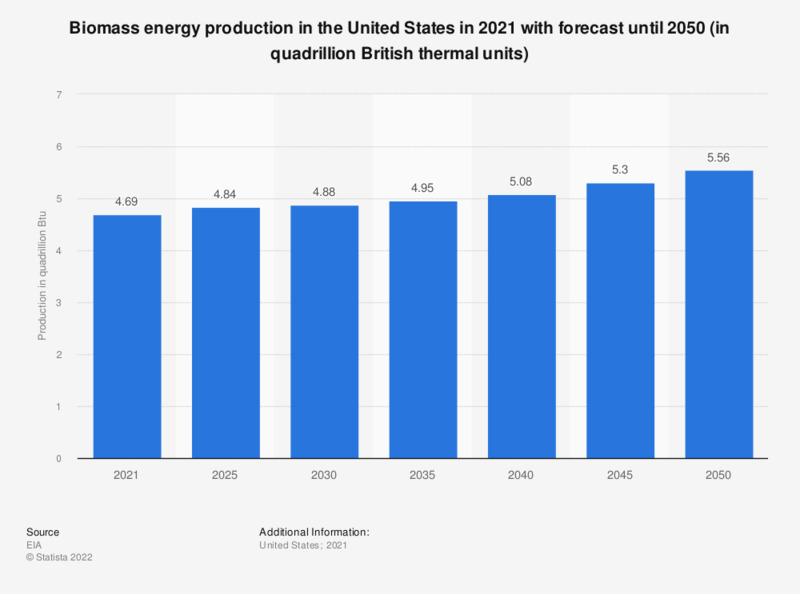 In 2050, U.S. biomass energy production is forecast to increase to around 5.11 quadrillion British thermal units. * Includes grid-connected electricity from wood and wood waste; biomass, such as corn, used for liquid fuels production; and non- electric energy demand from wood. Projections are based on the EIA reference case, a business-as-usual trend estimate, given known technology and technological and demographic trends. Figures prior to 2016 are historical figures.